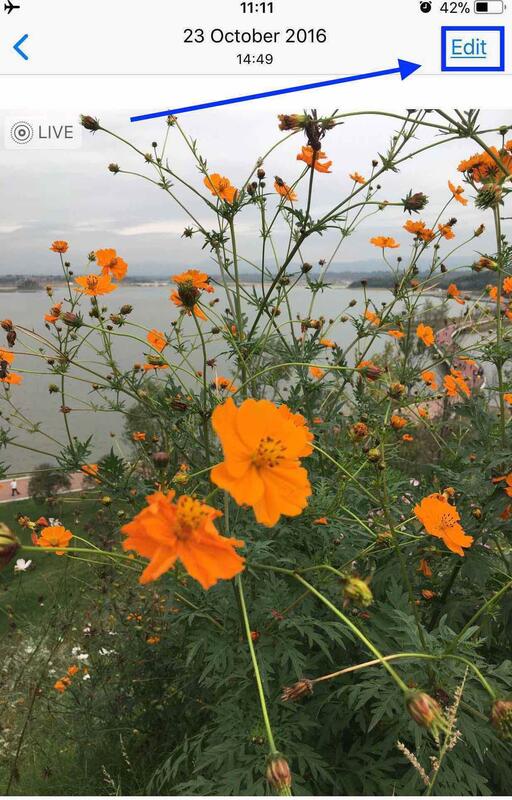 [Guide] How to Take A Still from iPhone Live Photo - iMobie Inc.
Can you take a still from a Live Photo? If you can't, don't miss this post! It tells you detailed steps to help you capture a still from iPhone Live Photo. AnyTrans could help you transfer, delete and backup photos on iPhone iPad iPod touch. Give it a try after reading this post on How to Take A Still from A Live Photo. Q: I took a Live Photo of my son, but I just need a still from it. Can you take a still from a Live Photo? Any help is appreciated. Live Photo feature, first available on iPhone 6S, allows you to record what happens 1.5 seconds before and after the photo. Now, the new iOS 11 brings more effects to Live Photos, which makes taking and editing Live Photo more interesting. However, recently, we got lots of emails like above asking how to capture a still from Live Photos. 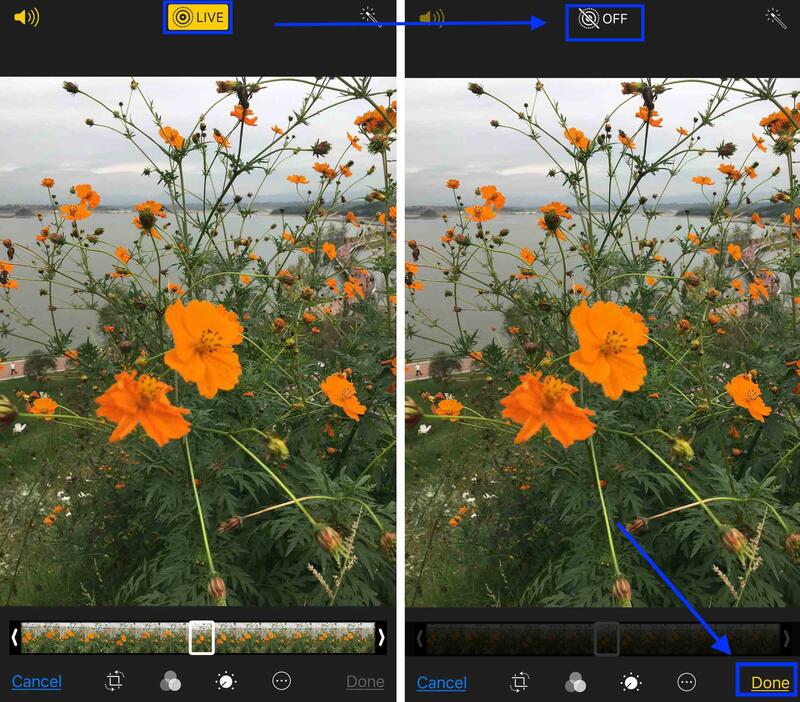 Here in this post, we will show you the detailed steps of how to take a still from Live Photo. 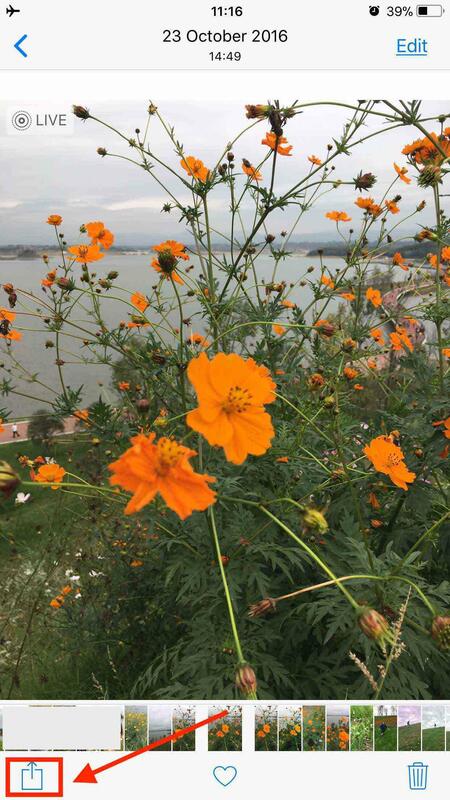 There are actually two ways to take a still from iPhone Live Photos, let's get to know them one by one. This method would convert Live Photos to still. If you still need it as Live, you can transfer this Live Photo to computer. Step 1. Open any Live Photos on iPhone, you can see a LIVE sign to your left. Tap Edit. Step 2. Tap on the LIVE icon on the top, make sure it shows OFF. Pick the best moment, then click Done button. You have now captured a still from a Live Photo. This method would duplicate Live Photo as a still. Here is how to take a still from a live photo by duplication. Step 1. Open any other Live Photos and tap the Up Arrow button. Step 2. 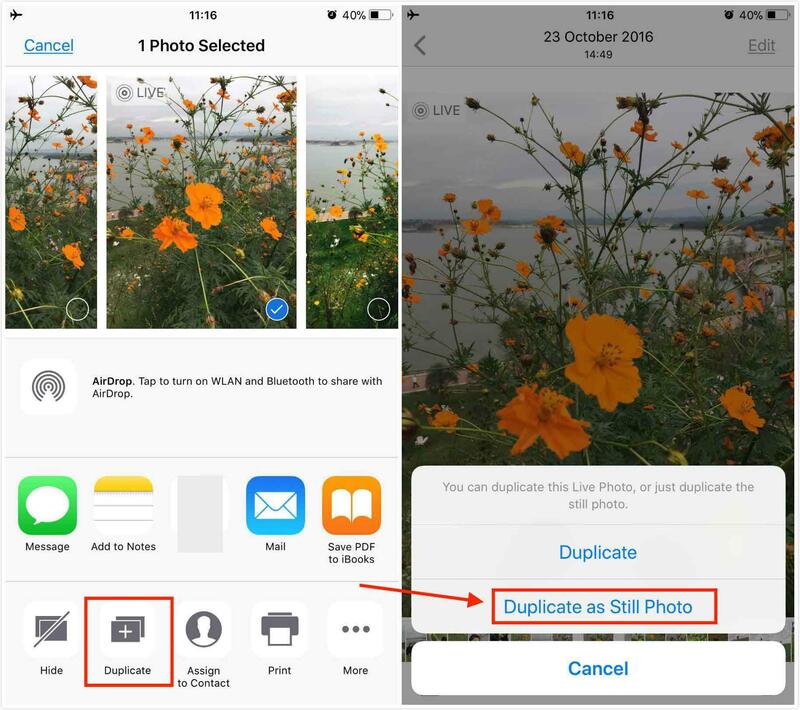 Tap on Duplicate and choose "Duplicate as Still Photo", the Live Photos would be duplicated as a still photo which will be saved in Camera Roll. That's all for how to capture a still from a Live Photo. You might now have already taken a still from a Live Photo. If you have some problems about this post, please share this post with others. By the way, don't forget to give AnyTrans a free trial.